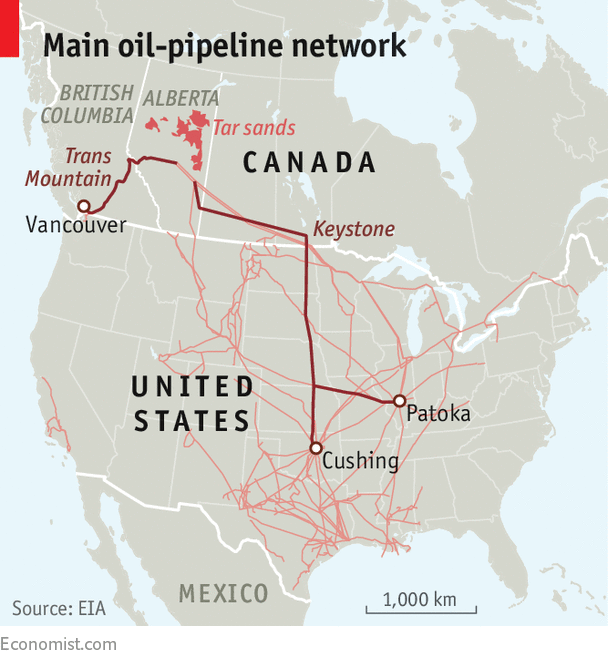 ALMOST all Canada’s oil and gas is landlocked, so getting it to market requires pipelines—lots of them. But building them requires skills more suited to circus artists than engineers. They must walk the financial high wire, jump through ever-changing regulatory hoops and juggle conflicting demands from environmental groups and numerous governments. The list of failures is long. 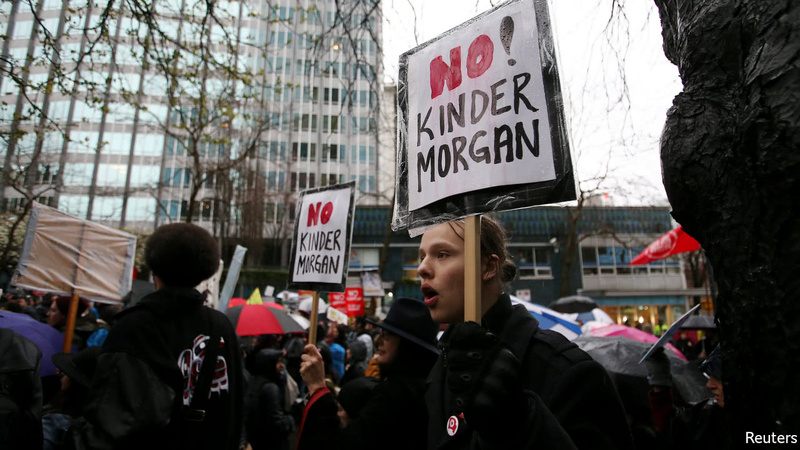 It includes Northern Gateway, meant to bring Alberta crude to a port in northwestern British Columbia; Energy East, which would have linked Alberta to the Atlantic coast; Pacific Northwest, to bring gas to the west coast; and the legendary Mackenzie Valley gas pipeline, first proposed in 1974 and dropped in 2017 by its last, exhausted promoter.